You know what’s kind of funny and cute? In the movies when two best friends are standing near a punch bowl at a lame party and they’re like, haha, let’s put some whiskey in our punch glasses to liven this thing up. You know what some people find not so adorable? A retailer suggesting you get your friend drunk without them knowing it by spiking the egg nog, possibly so you can take advantage of said friend. Cue an apology from Bloomgindale’s. 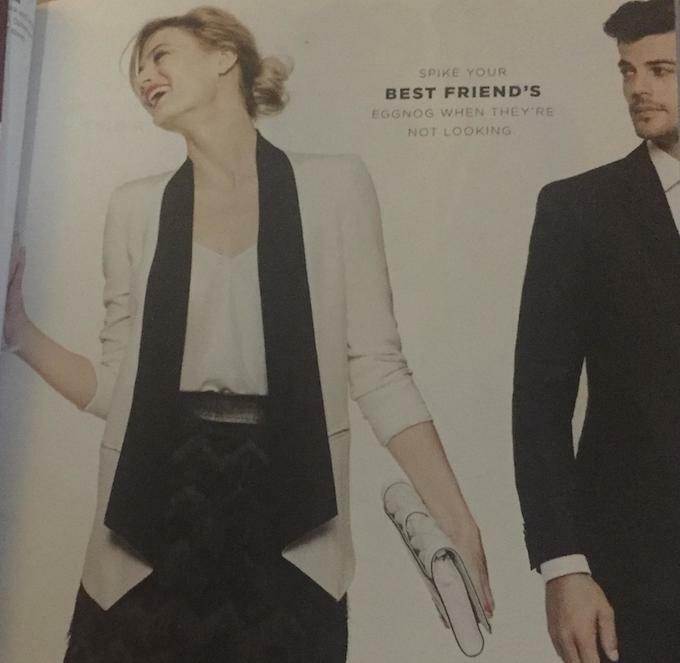 Sure, maybe the woman isn’t the guy’s best friend, and it’s someone else not in the picture. Or maybe she’s going to spike HIS egg nog. Either way, over-serving anyone to get them into your arms and possibly your bed is not a good message. 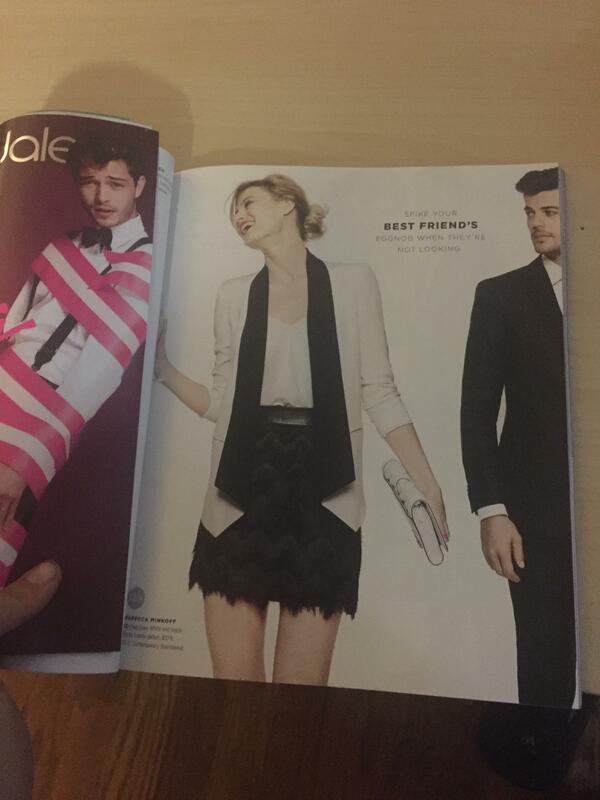 “In reflection of recent feedback, the copy we used in our recent catalog was inappropriate and in poor taste. Bloomingdales’ sincerely apologizes for this error in judgment,” a representative told Tech Insider.